DP and I both had trips this morning so we got out early to catch bait and picked our clients up at High Point at 5:30. DP headed one direction and I headed the other. We both set out spreads of boards and worked them for a few hours then later in the morning converted to downlines. 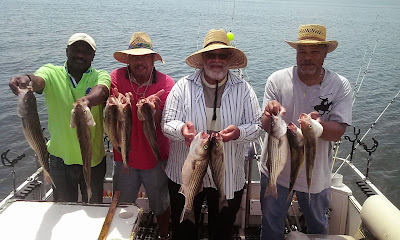 Together both boats caught over 80 Stripers today. You could hear Tyler screaming in two counties at once today every time we hooked a fish up. 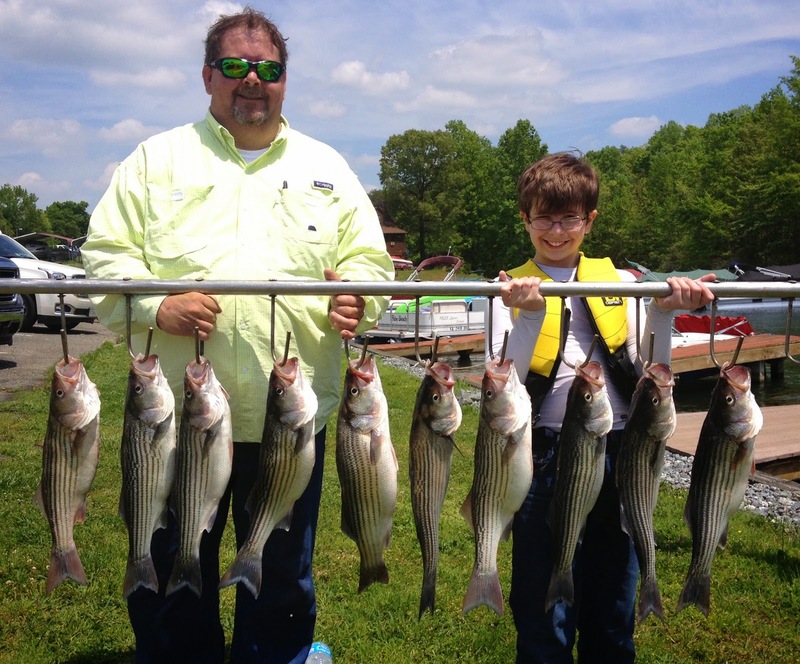 Chip had tole me when he booked the trip that all he wanted was for his son to reel in a bunch of fish today. Well, we wore him out. Great day of fishing and beautiful weather on the lake today.